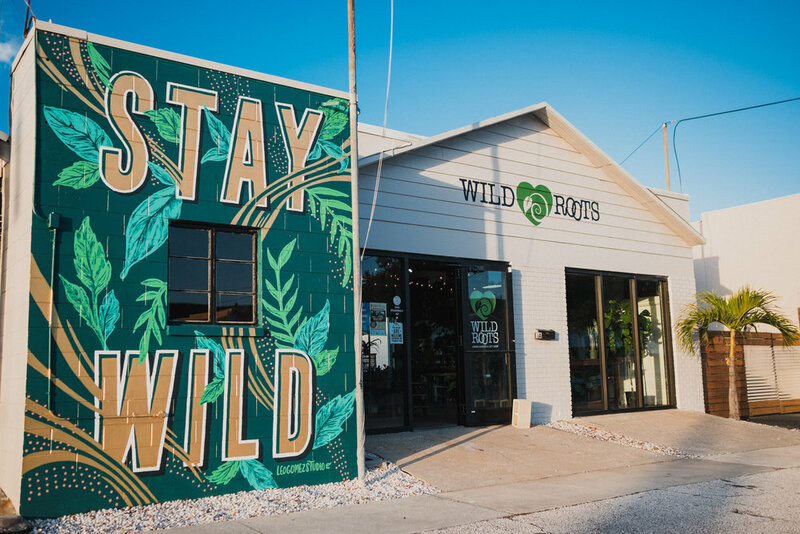 Stay Wild - Hand Painted Mural for Wild Roots. Services: Hand lettering, mural design, hand painted mural, signage. Hand painted mural for Wild Roots in St. Petersburg, FL, featuring beautiful custom hand made typography and botanical art. The mural can be found at 1949 1st Ave, St Pete.